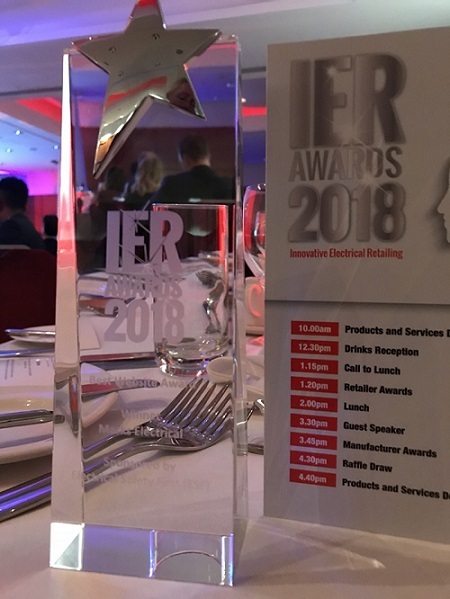 We are pleased to announce that we’ve won an award for the Best Website as well as Highly Commended in the Retailer category of Best Customer Service at the IER Awards. The IER Awards were held on Thursday 12th April at the Park Plaza London Victoria Hotel. They identify the phenomenal effort and achievements of those who work in the electrical retailing sector and this year marked its 26th anniversary. At the ceremony, guests enjoyed a new format which included some demonstrations of products and services from well-known manufacturers, a reception, lunch and the awards presentation. Visit our first-class website and discover why it has been recognised as the best in our field.